Don't be afraid if you have no experience in that area. This won't be very difficult. Learn from these marketers and employ similar strategies. You don’t have to be technically fancy to make money. You just have to know how to hire the right people to create a simple site. With your site, never get caught up in utilizing a multitude of fancy, snazzy technological advances like flash animations, voice recordings or video testimonials. Instead use a 4-5 interactive pages that resemble a sales letter format that clearly a product presentation, contact us, subscription to your newsletter, affiliate, and an about us page. Also includes product benefits with buy now button, p.s.’s and perhaps subscription information on how to sign up for your newsletter, if applicable. Keep your site design very simple and make sure that it appeals to both sophisticated and non-sophisticated users. Now depending on your website building skill level, this assignment might be something you want to skip or this might be a 2-3 day project. I want to introduce you to website building tools which will allow you on experimenting for free so you can understand simple concept and realize that putting simple website together is one or two hours of work once you know how to approach it. 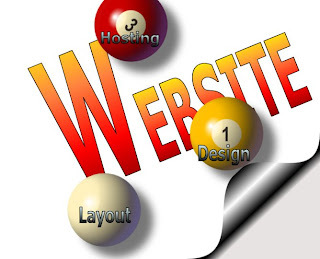 In the past I used to recommend free website builders as a starting point and we had an arrangement with the company which offers free hosting for couple of pages. You can still try this solution here. As of now I'm not recomending this solution because over the years new free solid solutions have been developed , which allow you on creating of your free presence until you are feeling comfortable with upgrading to paid options. I would like to recommend wordpress.com. Although wordpress.com started as a blogging platform, today there is no concept which couldn't be accomplished through wordpress solutions. Various plugins and widgets, (many free) can give you instant solutions which normally would require to have paid programming staff. Today I just would like you to create a free account (if you don't have one yet) with wordpress.com. Simply click here and click Get Started button. Inside you will be able to create your pages and decide on layout and/or template of your site. Look around. There are multitudes of tutorials on wordpress and there are also videos on the site available for you to watch. I will provide you with couple paid hosts which I strongly recommend later. Thank you for a most excellent article, Bogdan! This is some of the best advice on site building I've seen in a very long time. Thank you Bogdan! I agree with Dave on this most excellent article. I would recommend that everyone could benefit by completing the assignment here and then go back and complete the assignments in Parts 1 through 11. Treat it like a course at the University. It will take some time but will be a valuable investment in your future. Hello Dave and Ken, I'm glad you liked it. If you have any suggestions in regards to this article let me know. Great article, however, I would like to add something to it. I followed your link to register. Once I was there, I was unsure about something, so, I went to check their forum. All the rest should go on WordPress.org, which implies downloading the software and getting ones own host. One needs to define exactly what one wants to do with the blog, read the TOS carefully, check the forum and then, ask the staff, in case the fall into a grey area. I see that you are on Blogger and, I saw a comment, on the forum, where the person had switched to Blogger because of that. Would you be able to compare the three and let everybody know? I am sure other community members must have other tools they can also review. I just came across a blogging tool in my Google account. I have not had time to explore it, yet. As I was about to publish this comment, Google asked me to sign in to my Google account, and, I realised that blogger belongs to them. Is there any reason why it would not be better than either WordPress? For years I have been postponing having a blog because I was afraid I would not be able to post fresh content with any kind of regularity. Now, I am seriously considering it. In my view (although I might have not explored all possibilities blogger offers), the number of plugins and widgets offered by Wordpress community is unparalleled to what is offered by blogger. With wordpress you can build not just a blog, but forums, websites, membership website with password protected pages and anything ever already invented has probably some wordpress plugin which emulates that. So it is worth investing your knowledge into something which gives you room to grow. The reason I'm on blogger is that I have several bologs and this is just one of them, specific to this course. I'm sure that Google will be integrating blogger more with G+, and possibly one day will close it and replace it with something better (according to them). With wordpress, as long as it is on your server you control it and most likely it will only grow. I did not wait for your reply and I studied all the options. Then, I followed your first advice with a better idea of what I was doing. Your post clarifies my findings. I am still not quite ready to make the Adlandpro affiliate link back work, but, I am a few steps closer. Hello Yolande, You can always contact Adlandpro support if you have any questions in regards to affiliate link. Yolande, if you have any affiliate questions, I will be happy to assist you. Regarding your questions about affiliate links; first of all, I agree with Bogdan that learning Wordpress is a very good idea, and beginning to blog on their platform is what you should do if you plan to have your own website in the future. If you want to post affiliate links on a free blogging platform, Blogger is a good choice. What I would recommend is blogging on both Wordpress.com and Blogger, unless you have your own domain. That way, you can become comfortable and knowledgeable with Wordpress, while also getting your links out on Blogger.